The Elexoma Medic’s ability to help people to sleep better and deeper is one of the features almost every Elexoma user mentions. Quite a few people buy it specifically for insomnia and in 80% of cases, it works for them. What I’ve found is that, where the insomnia has a range of causes – especially anxiety – the Elexoma works like a charm to bring about deep sleep. When the cause of insomnia is not so clear, it is often harder to get benefit from microcurrent therapy. The Elexoma Medic is licensed by the American FDA for the treatment of insomnia. Below is an article excerpted from the web that underscores this point – where sleeplessness is due to psychological factors, microcurrent technology like the Elexoma is very useful as a therapeutic aid. Have a shocking good day! For more than three years now, a local Barrie Ontario psychologist working primarily with War Veterans, has found that by incorporating CES technology into his treatment protocol that his patients make much faster progress. Toronto, Ontario (PRWEB) October 16, 2009 — It often takes many years before a Veteran will seek professional help to deal with the emotional scars left by their tour of duty – whether it was a war or a peace keeping mission, like Canadian soldiers have faced. By that time their personal relationships are at a breaking point and they are “suffering from sleep disturbance, anger, anxiety, depression and addictions” according to Dr. Jonathan Douglas of Barrie, Ontario, whose practice is comprised primarily of Veterans. In the USA, CES technology was licensed more than 20 years ago for use in medical devices for the treatment of insomnia, anxiety and depression. CES, (first called “electrosleep), works by delivering gentle micro current stimulation, through the ear lobes, to the individual’s internal sleep clock to re-set it so that they can fall asleep easily and naturally and stay asleep, without the need to turn to drugs, which can be habit forming and come with many unpleasant side effects. 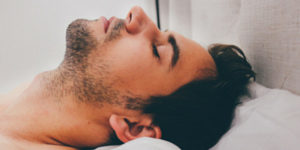 “I review the research with my patients showing them how effective CES is in dealing not only with sleep, but with problems associated with stress, mood, addiction and pain. My familiarity with the 50-year history of research in CES allows me to state with certainty that this technology is effective. Well-designed studies that were double blinded and placebo-controlled, where neither the researcher or the patient knew which was receiving active treatment, proved its efficacy and showed that CES is superior to placebo in the treatment of anxiety, insomnia, depression, fibromyalgia, and other conditions,” he added.